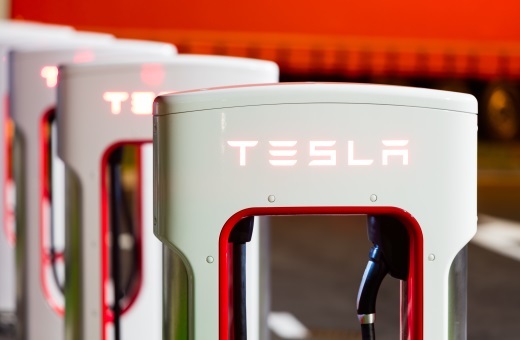 Stephen Moore And Herman Cain Would Help The U.S.
One of the biggest bulls on Tesla among analysts covering the stock is no longer recommending it as a ‘buy’, as he believes that Elon Musk’s erratic behavior in recent months is damaging the brand. In a note to clients on Tuesday titled “No Longer Investable”, Nomura Instinet analyst Romit Shah said that while Nomura has been one of the most bullish on Tesla’s stock since it initiated coverage last October, the controversial behavior of Tesla’s chief executive is recent months has hurt the company and likely contributed to the senior management exodus. Nomura cut its rating on Tesla to ‘neutral’ from ‘buy’, and has slashes Tesla’s price target to $300 from $400. The previous $400 target was the sixth-highest on Wall Street among 22 analysts, according to FactSet data. “The issue though is the erratic behavior of CEO Elon Musk. During the second quarter, the switch seemingly flipped … We are worried that this behavior is tainting the Tesla brand, which in terms of value is most important,” Shah says in the note, as carried by CNBC. The analyst cited Musk’s increased Twitter activity, the snubbing of analysts on a conference call when Musk called their questions “boring”, the NYT interview where Musk fell apart multiple times, and last week’s live video interview, during which Musk smoked marijuana. Before that, Musk pronounced in early August that he would take Tesla private, but backtracked on that proposal two weeks later. On Monday, however, Tesla’s stock bounced back after two positive analyst reports. Bernstein’s Toni Sacconaghi, for his part, said that Tesla’s below $300 share price was an “attractive near-term entry” point, but the analyst remains neutral on Tesla’s longer-term performance until investors see if Tesla can pull off Model 3 quality, quantity, and profit margins. Are SEC Cannabis Concerns Overblown?